Effie Anderson Smith (Mrs. Andrew Young Smith) was an Arkansas born, early Arizona Impressionist painter of desert landscapes and the Grand Canyon. She was born near Nashville, Arkansas and grew up in the newly established city of Hope. In Hope she discovered a love of drawing and painting - passions that would later change her life. In 1892 at age 22, Effie traveled west to attend her brother's wedding in Deming, New Mexico. 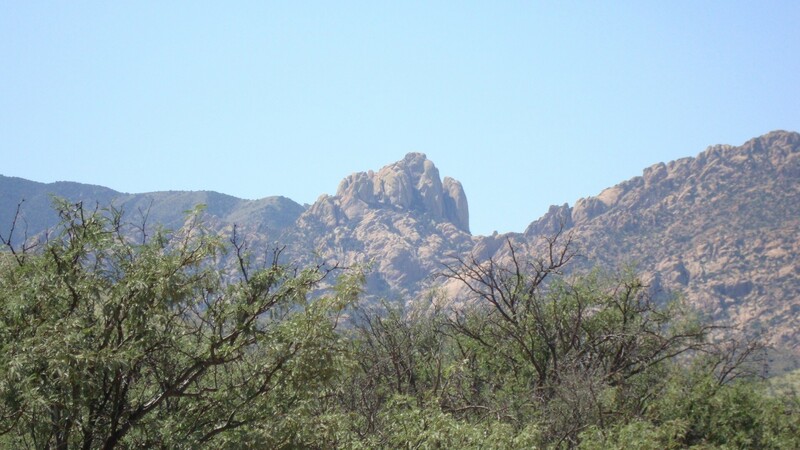 She went home to Arkansas with memories of the beauty and splendor of the desert southwest. After teaching school in Nashville and Hope, she returned to Deming in 1894, and soon met a Scottish immigrant - railroad clerk A. Y. Smith. 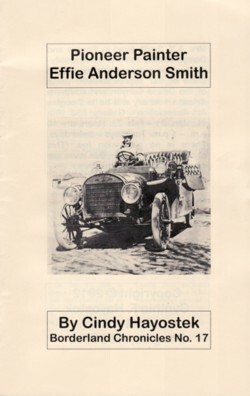 The following year, Effie and Andrew were married in Bisbee, and so began their exciting life together in the rip-roaring mining camps of the Arizona Territory. A pioneer settler of Cochise County, wife and mother, writer and poet, educator, community activist, Southwest Impressionist painter, arts advocate, and feminist. This website is dedicated to Effie's story . near E.A. Smith's home in Pearce. She is known to have painted this vista 14 times. The unique formation known as the Rockfellow Dome - Cochise Stronghold near Pearce, Arizona. "If every sound has its corresponding color wave, may we not dream of a bewildering color feast flung on canvas to the tones of a Wagner overture or a Beethoven sonata? What a fascinating problem it would be to work out the color probabilities of the great masterpieces of music. I believe Beethoven of all the master musicians would best have interpreted this desert land of ours. Being deaf he dwelt in the vast silences and understood their vibrations."